‘Considered one of the most beautiful women in the world, Lena Horne was an electrifying performer who shattered racial boundaries by changing the way Hollywood presented black women.’ - The Washington Post. From 1920s Harlem to the golden age of Hollywood, through WWII to the Civil Rights movement, Stormy celebrates the life and work of one of the most significant African-American figures in 20th century entertainment: Lena Horne. Developed with Olivier award winner Clarke Peters (5 Guys Named Mo), Stormy spans Horne’s 60 years in show business: as singer, dancer, movie star, activist and the first black actor to break the Hollywood stereotype, her struggle blacklisting by an industry unwilling to fully recognise her undeniable talent, and ends with her 1981 Tony Award winning one-woman Broadway show triumph. The live five-piece band immerses us in the thrill of a jazz club with an entirely original score with songs that evoke the eras of Horne’s long career: blues, jazz, swing, soul but also rap and, of course, the iconic hit Stormy Weather. The Grotowskian style of minimal set relies on the story, actor’s skill and audience’s imagination as, alone on a bare stage, 'Lena' narrates her life directly to the audience. Playing out dramatic vignettes, Beeput transforms with physical brio into characters from Horne’s past, from Cab Calloway to Ava Gardner, to tell the untold story of Hollywood’s most unknown superstar. 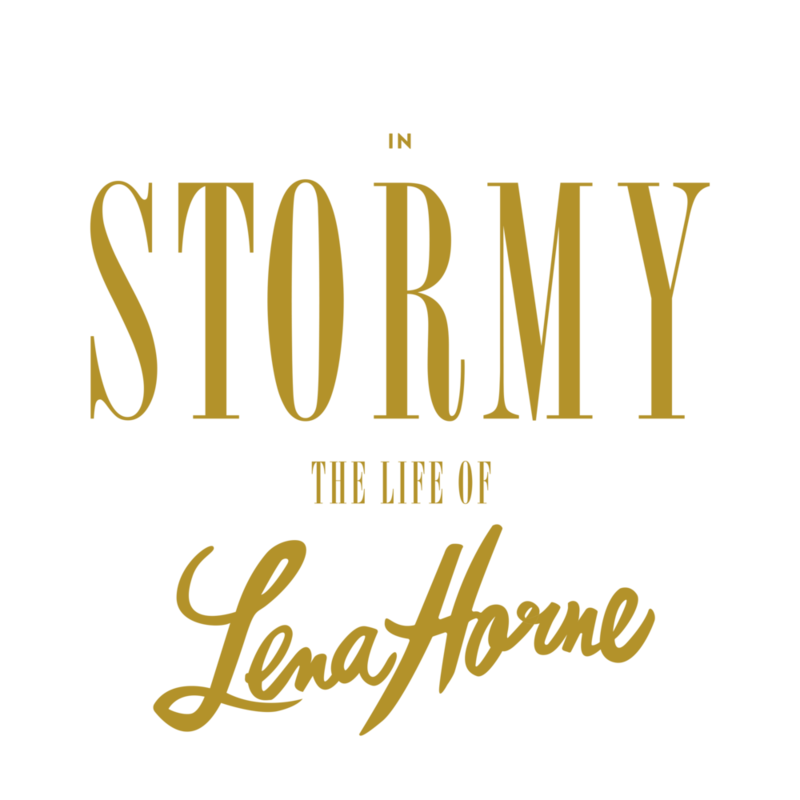 Written by Beeput to address the need for more female writers and roles for women which both celebrate diversity and look beyond it, Stormy brings the Lena Horne story to a new generation, reminding us that many of the struggles she faced are still relevant - and inspiring us with an extraordinary example of fortitude, idealism and poise. Clarke is an American actor, singer, writer and director. His West End credits include Bubbling Brown Sugar, Porgy and Bess, Chicago and Chess, among many others. In 1990 he wrote the musical revue Five Guys Named Moe, which received a Tony Award nomination for Best Book of a Musical. He was also nominated for a 1999 Laurence Olivier Theatre Award for Best Actor in a Musical for Chicago! His UK TV credits include Holby City, Doctor Who, In Plain Sight; his US TV credits include Person of Interest, The Wire and Treme. He appeared in the films Notting Hill (1999) and Marley & Me (2008), played Nelson Mandela in Endgame (2009), and Bishop Enoch in Spike Lee’s Red Hook Summer (2012). In September 2011, Peters played the title role in a Sheffield Crucible Theatre production of Shakespeare’s Othello; he played Gloucester in King Lear at the 2014 New York Shakespeare in the Park festival. 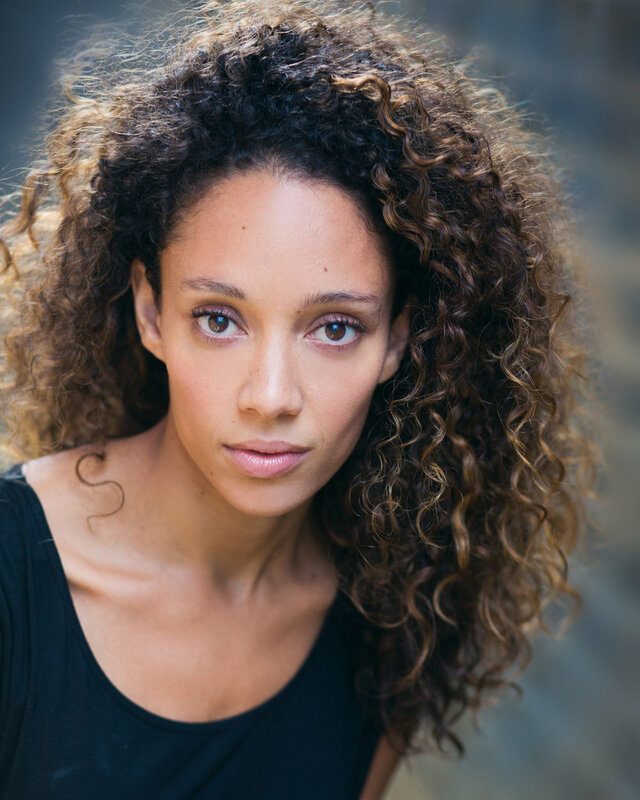 Camilla is an actor working across film, theatre and television. Film & TV credits include: Sick Note (Sky One), Gone (Sky Atlantic),The Nightmare Worlds of HG Wells (Sky Arts), Legends (Fox), Writers Retreat (Moli Films), Super Bob (Grain Media), Partners In Crime (BBC One), Grantchester (ITV), New Tricks (BBC One), Babylon (Channel Four), Scott and Bailey (ITV), Mortdecai (Lionsgate), Birds of a Feather (ITV), Peep Show (Channel Four), Top Boy (Channel Four). Alex is an established songwriter and music arranger. His compositions have appeared on many CD releases, including tracks for China Moses (on the Universal album Crazy Blues) Mina Agossi (Red Eyes, Naive Records), Liane Carroll (Slow Down, Splash Point Records), Alexia Gardner (Chasing Hope, Amiata Emozioni), Gena West (Stay Free, GW) Alexander Stewart (All Or Nothing At All, ASM and I Thought About You, ASM), and Wendy Guevara (Destiny, Dreams, Desire, Guevara CD). Webb’s own album of original compositions, Call Me Lucky was released in June 2016 on Splash Point Records to rave reviews, including from the Guardian and Evening Standard. Maxwell is a theatre artist specialising in new writing. Theatrical credits include: As Writer/ Performer: Bouncing Cats & Boom Boom Pups (Southbank Centre), Avant Garde Dance’s Romeo & Juliet (National Theatre), CountryBoy’s Struggle (Contact Theatre), The Little Witch (National Theatre), Abandoman (Pleasance Theatre), Freestyle Forums (Kompany Malachi / Nitro), East London West Sydney (British Council / Sydney Festival), Lyrix Organix Emergence, Riz MC’s MICroscope (Sadler’s Wells / Fabric), Markus The Sadist (Jonzi D Productions), The Sun & The Moon (Southbank Centre), Takeover (Southbank Centre), Everything Must Go (Soho Theatre), Essence (Birmingham Rep), Ganges to Nile (The Drum), Mirrorage (Birmingham Rep), Embryonica (Decible). Film & TV credits include: CountryBoy’s Struggle Ominbus (BBC - The Space), The Quickener. Charlie was nominated for the 2014 and 2016 BroadwayWorld Award and the 2017 WhatsOnStage Award for Best Lighting Design. His theatre credits include Cool Rider, The Blues Brothers, Dracula, Julian Clary - The Joy of Mincing, Sam Bailey Live (West End), Derren Brown: Underground (London), Avenue Q, Seussical, James and the Giant Peach (UK and International), Little Shop Of Horrors, Jekyll and Hyde, Kidnapped, Missing In Action, The Secret Garden, How To Survive In A Post Truth Apocalypse, The Tempest (UK Tour), 3am (Curve, Leicester), Gobsmacked (Southbank & Edinburgh), RENT (Old Rep, Birmingham), Goosebumps Alive (Vaults), The Time Machine, The Golden Needle (Les Enfants Terribles), Failed States (St James), A Little Night Music (Birmingham Conservatoire), Alice In Wonderland (Greenwich Theatre), When The Rain Stops Falling (Unity, Liverpool), Evita (Islington). His opera credits include Tristan I Izolda (Polish National Opera), Aida, Fidelio (Dorset Opera 40th Anniversary Season), Le Nozze di Figaro, Madama Butterfly, I Pagliacci, Die Fledermaus, L’Elisir d’Amore,Tosca, Romeo and Juliet andThe Barber of Seville (Opera de Baugé). Choreography and creative credits include: Cinderella (Chiswick House And Gardens) Monster Raving Loony (Theatre Royal Plymouth and Soho Theatre) Cinderella (The Arts House, Stratford-Upon-Avon) Cinderella (Qdos Entertainment). Theatrical credits include: Hello, Dolly! (Leicester Curve) The King & I (UK & Ireland Tour) Cats (UK & European Tour) Singin' In The Rain (Sadler's Wells) One Touch Of Venus (UK Tour & Sadler's Wells) On Your Toes ( Japan Tour) West Side Story (Leicester Haymarket) Fame (Cambridge Theatre and Aldwych, London) Peter Pan The Musical (Leicester Haymarket). 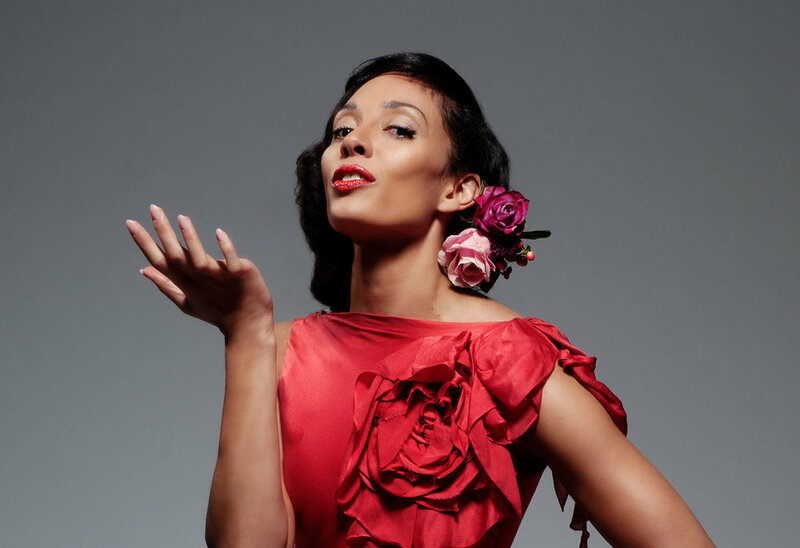 Musical Director Alex Webb gratefully acknowledges the support of the Arts Council of England in preparing the music for Stormy: The Life of Lena Horne. Clarke Peters: ‘Many people aren’t aware of Lena Horne’s struggle’.